Two of the world’s leading experts in Web Science from the University of Southampton have been named in a definitive list of the real movers and shakers in UK IT. Computer Weekly’s third annual ‘UKtech50’ features Professor Dame Wendy Hall and Professor Tim Berners-Lee amongst the country’s top CIOs, industry executives, public servants and business leaders driving the role of technology in the UK economy. 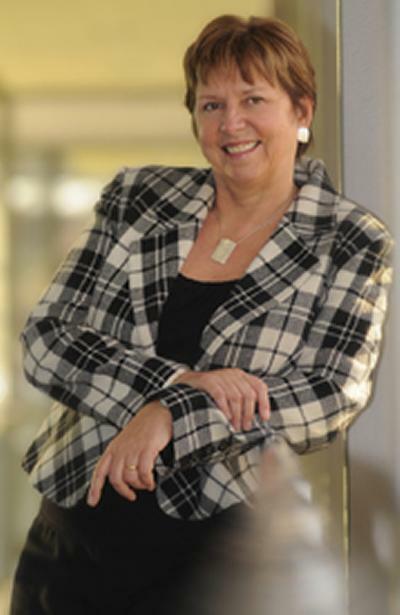 For Dame Wendy, Dean of Physical and Applied Sciences at the University of Southampton, the accolade comes just months after she was named as the second most influential woman in UK IT also awarded by Computer Weekly. The ‘UKtech50’ was decided by an expert judging panel representing every aspect of the IT profession alongside a reader vote to determine who holds the most influence over the future of the UK IT sector in 2013. Dame Wendy (at number 30) and Professor Berners-Lee (at number 26) were selected on the basis of their influence on the development of UK IT, their achievements over the past 12 months, their profile and authority in UK IT, their leadership and experience and the potential for their influence to grow in the next year and beyond. With Professor Berners-Lee and fellow Southampton Professor Nigel Shadbolt, she co-founded the Web Science Research Initiative in 2006. She is currently a Director of the Web Science Trust which has a global mission to support the development of research, education and thought leadership in Web Science. She was President of the British Computer Society; the first non-North American to be President of the Association of Computing Machinery, the world's largest organisation for computer professionals; a member of the Prime Ministers Council for Science and Technology; Senior Vice-President of the Royal Academy of Engineering; and a member of the Research Council of the European Research Council. In the 2009 UK New Year’s Honours list, Dame Wendy became a Dame Commander of the British Empire and was elected a Fellow of the Royal Society later the same year. She holds several non-executive director positions including most recently being appointed to the board of Idox plc. Professor Berners-Lee is best known as the man responsible for inventing the World Wide Web. In 1989, he proposed an idea to integrate hypertext, through the code now behind every Web page, with the internet and personal computers as a way of sharing data and information throughout CERN. The following year he implemented the first successful communication between a hypertext client and server via the internet. From there, that idea quickly grew in to the dominant global industry that is the World Wide Web in the 21st century. Professor Berners-Lee is the 3Com Founders Professor of Engineering at MIT and in 2004 became a Professor of Computer Science at the University of Southampton. He is a co-director of the government’s new Open Data Institute, along with Professor Nigel Shadbolt, which aims to nurture new businesses to exploit the Government’s open data releases.